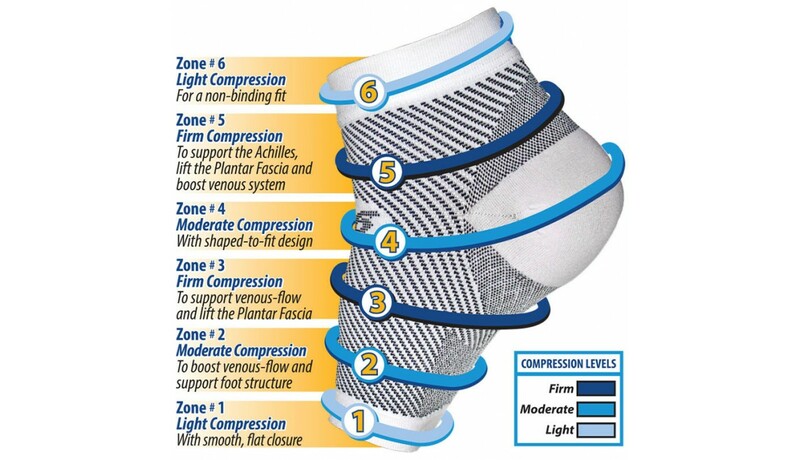 Used primarily for treatment of Plantar Fasciitis, chronic arch or heel pain. 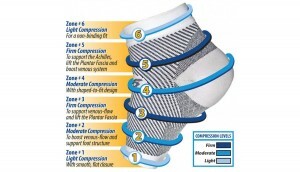 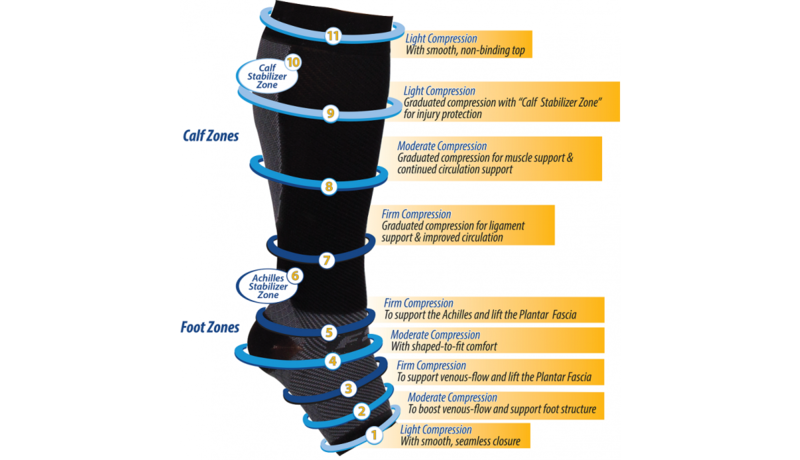 The sleeve provides Medical grade compression/support for the arch structure of the foot as well as the Achilles Tendon. 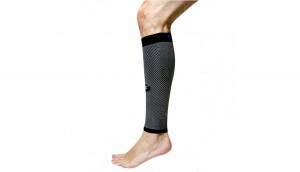 It aids in also reducing swelling and improving circulation. 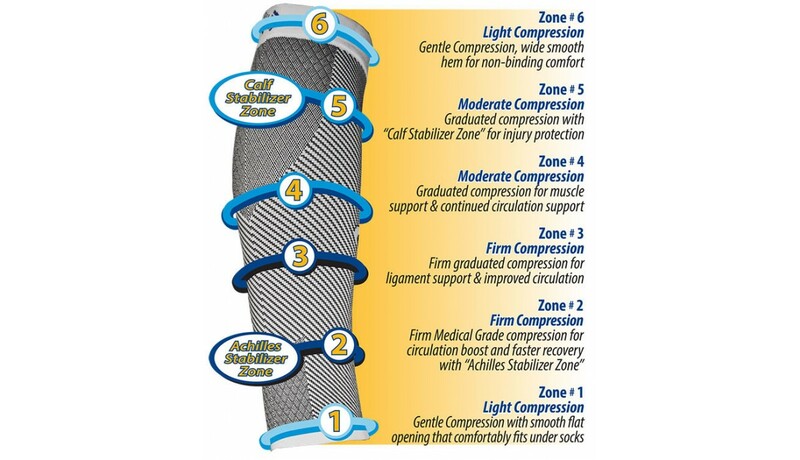 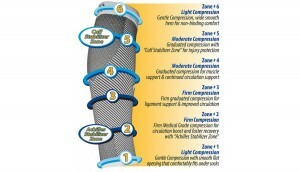 The CS-6 sleeve uses graduated compression to encourage efficient blood flow and oxygen return, providing relief from common conditions such as venous insufficiency, and oedema/swelling. 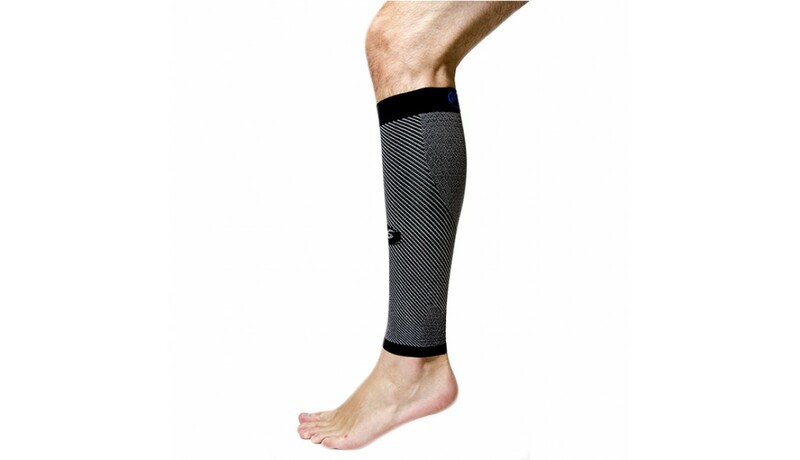 It also provides medical grade support for the Achilles tendon and calf muscles, relieving shin splints, cramping, and Achilles Tendonitis. 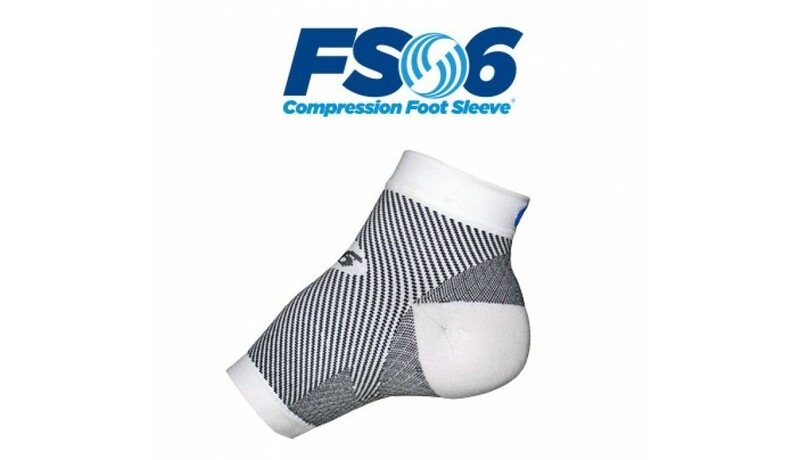 Combination of the FS-6 sock and CS-6 calf sleeve. 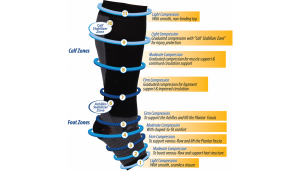 Combines medical grade support to provide pain relief and prevention for those suffering with plantar fasciitis, chronic heel pain, swollen arthritic ankles and feet, poor circulation, venous insufficiency, calf cramps, Achilles tendonitis, and shin splints.